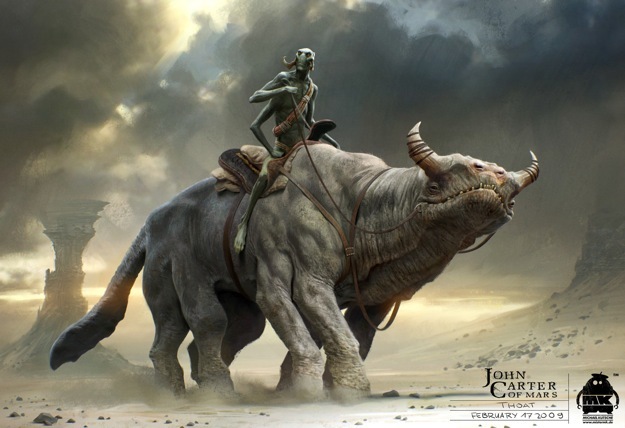 Walt Disney's John Carter arrives in theaters this March, and we have some new concept art thanks to It's Art Magazine (via Comingsoon). Be aware that the last image could be considered a very minor spoiler! Check out the concept art below, and share your thoughts. Andrew Stanton directed the adaptation of the classic novel by Edgar Rice Burroughs. The film stars Taylor Kitsch, Lynn Collins, Samantha Morton, Ciaran Hinds, James Purefoy, Daryl Sabara, Polly Walker, Bryan Cranston, Thomas Hayden Church, and Willem Dafoe. John Carter arrives in 3D, 2D and IMAX 3D theaters on March 9.